Every year, tens of millions of drivers get their insurance renewal papers mailed to them and they simply ignore them and let their policy rollover. That’s money lost! By taking a moment to consider the high rate they’re paying for the type of coverage they’re receiving, they might decline theie insurance company’s offer. If you knew the savings they might be getting, you’d be switching. If you want to save thousands on car insurance, you have to start thinking bigger savings numbers than the 15% someone like Geico offers. Very few auto insurance companies talk about savings. Their advertisements are low key because they want to make a brand impression without stirring up their customers thoughts about value and price. You’re a Smart Consumer – Shopping Gives you Power! It’s a fact that shopping is power. Your choice of where your money goes, shapes the economy and is helps you share and promote your values. You decide who gets rich. 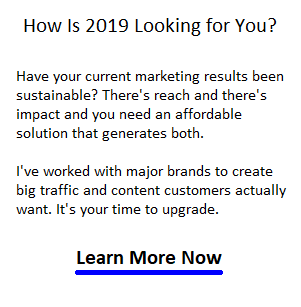 And right now, you’re here because you demand a lower quote for auto insurance and by searching, you’re going to get your wish. If you’re persistent and keep at finding the insurers who want your business, you’ll be switching car insurance providers. In the past, car insurance companies would give you misery if you tried to change insurers. Even today, you have to be careful of it because even the smallest gap in coverage could cost you. Yes, insurance is a racket and there’s nothing you can do about it other than keep shopping for the cheapest rates and lowest quote. Here’s more than 30 insurance companies below to help whet your appetite for a lower auto insurance quote. Here’s the major brand insurance companies in the US, beginning with Geico who spend a inordinate amount of money on TV advertising. Many of these companies advertise online and you’ll see them in your searches on Google. Don’t be hypnotized by the brand names and sign on eagerly because you liked their TV mascot. Remember you’re here on this site because you intend to save money on your car insurance. That’s you quest and you should stick to it. It could be mean saving $10,000 or more over 5 years. What could you do with $10k? Geico Auto Insurance Company – the popular insurer we recognize from their television Gecko mascot is the 2nd largest auto insurer in the United States, after State Farm. Geico is a wholly owned subsidiary of Berkshire Hathaway insurance (Billionaire Warren Buffett). Geico provides auto insurance coverage on 22 million+ cars, trucks, motorcycles, motorhomes etc for 14 million insurance policy holders. State Farm Insurance Company – is headquarted in Bloomington Illinois and has a whopping and expensive payroll of 18,000 insurance agents. It’s total net income in 2013 was 5.2 Billion dollars and it has 44 million auto insurance policies in effect. Berkshire Hathaway Insurance Company – BHI is is owned by Billionaire Warren Buffett, which boasts a yearly income of $24 Billion and they own Geico Insurance. Allstate Car Insurance Company – Allstate is the 2nd largest personal insurance insurer in the US and in Canada, (behind State Farm). It is the largest publicly held insurance company (net income of $2.7 Billion) and it owns esurance.com a top online insurance website. Allstate has its headquarters in Northbrook Illinois and has a yearly net income of $2.7 Billion. USAA Auto Insurance Company – The United Services Automobile Association is a financial services company that earns more than $24.6 Billion annually. It is located in San Antonio TX and offers a huge range of personal property and casualty (P&C) insurance, life insurance, automobile insurance, homeowner insurance, renters’ insurance, as well as umbrella and personal property insurance. AAA Auto Insurance Company – The American Automobile Association (AAA ) is a large group of motor clubs throughout the US and Canada (CAA) having more than 55 millions members. AAA is a non-profit member service organization. AAA is located near Orlando Florida with office located in Los Angeles, Boston, New York, Chicago, Phoenix, Toronto and many more major cities. 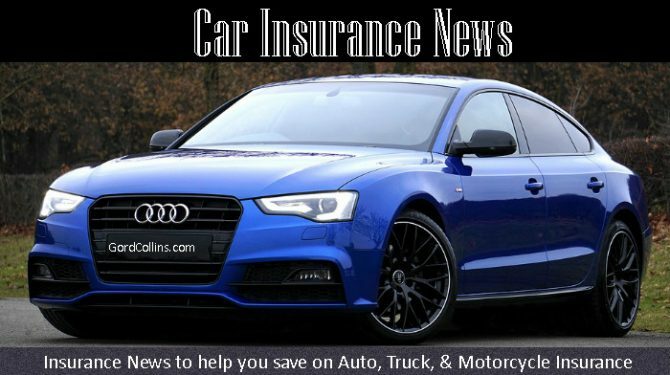 Nationwide Car Insurance Company – Nationwide Mutual Insurance Company & Affiliated Companies is a group of large insurance and financial services companies based in Columbus, OH. It’s yearly revenue is $40 billion. Liberty Mutual Car Insurance Company – Liberty Mutual Group is a huge, global insurance company with its head office located in Boston, Massachusetts. The company’s $29 billion, and 45,000 employee workforce means it is one of the biggest insurance companies in the world. The company provides home, auto, business and property insurance. Progressive Auto Insurance Company – Progressive Insurance writes insurance policies for automobiles trucks, motorcycles, boats, and recreational vehicles through their independent agency channel and a direct channel known as progressive.com. Progressive Insurance has its headquarters in Ohio. The company reports yearly earnings of $21 Billion. Farmers Auto Insurance Company – Farmers Insurance Group is located in Los Angeles CA. It earns $12.6 billion in revenue yearly and provides car insurance and truck insurance coverage for automobiles, homes and small businesses via it’s 50,000 independent insurance agents. Search for hours for the best auto insurance rates in Los Angeles, Phoenix, Denver, Seattle, Chicago, Boston, New York, Dallas, Houston, San Antonio, Austin, St Louis, Minneapolis, Green Bay, Charlotte, Tampa, Miami, Orlando, Beverly Hills, Malibu, San Diego, San Francisco, San Jose, Fresno, Santa Clara, Sacramento, Mountainview, Palo Alto, Portland, Washington, Atlanta, Irvine, Nashville, Sunnyvale, Salt Lake City, Riverside, Simi Valley, Raleigh, Albuquerque, Glendale, Kansas City, St Louis, Stockton, Scottsdale, Palm Springs, Indianapolis, Columbus, Colorado Springs, Fort Worth, Chula Vista, Escondido, Santa Monica, Miami Beach, and Honolulu.